We are currently in the process of constructing a separate event structure on the property to give you the best options in hosting your special event. We plan to have a large pavilion completed and ready for use by the summer/fall of 2017. This pavilion will be able to accommodate 150 people and a medium level dance floor if desired. 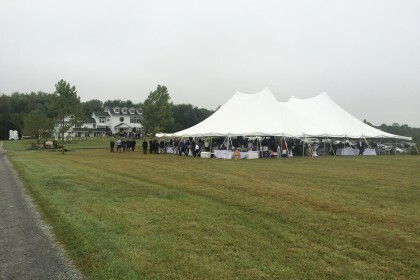 In the meantime we are using a large permanent tent structure on the far side of the property for multipurpose use. Details can be discussed any time with an event coordinator.